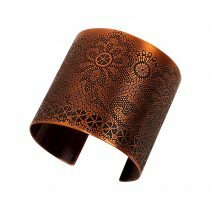 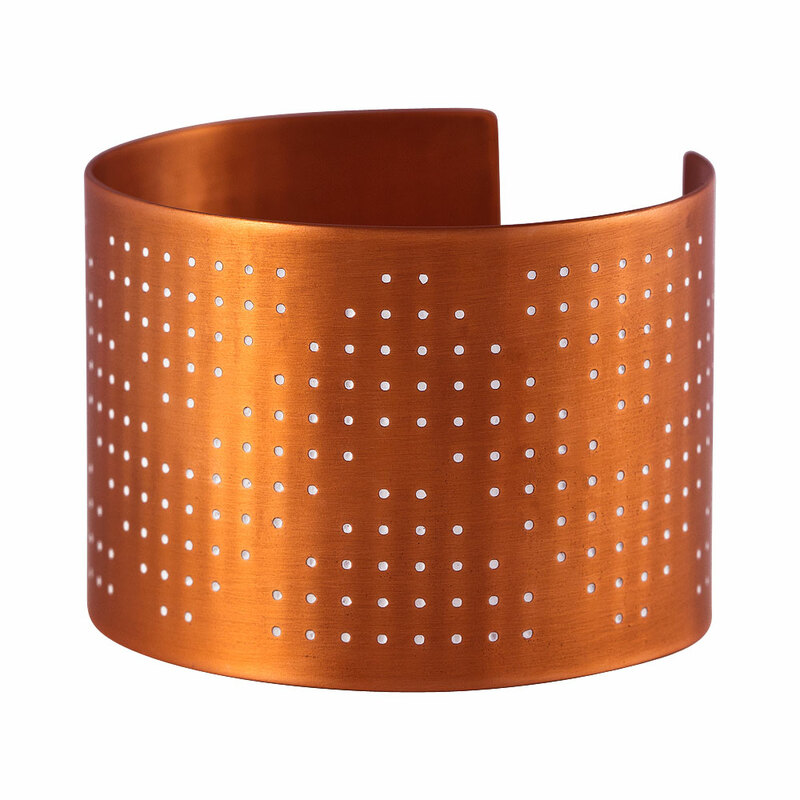 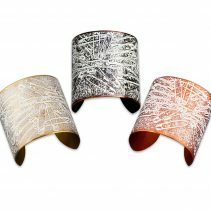 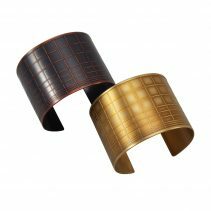 A modern and minimalist cuff with a narrow profile. 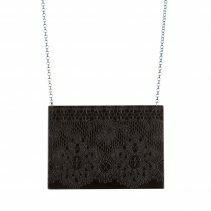 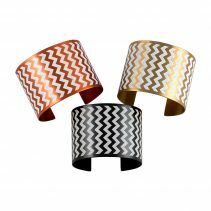 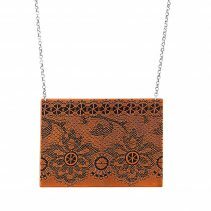 Features an etched chevron dot pattern, hand-painted for subtle emphasis. 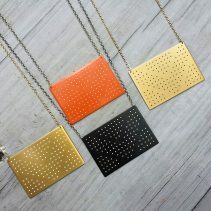 Coordinates with my Connect Dots Necklace. 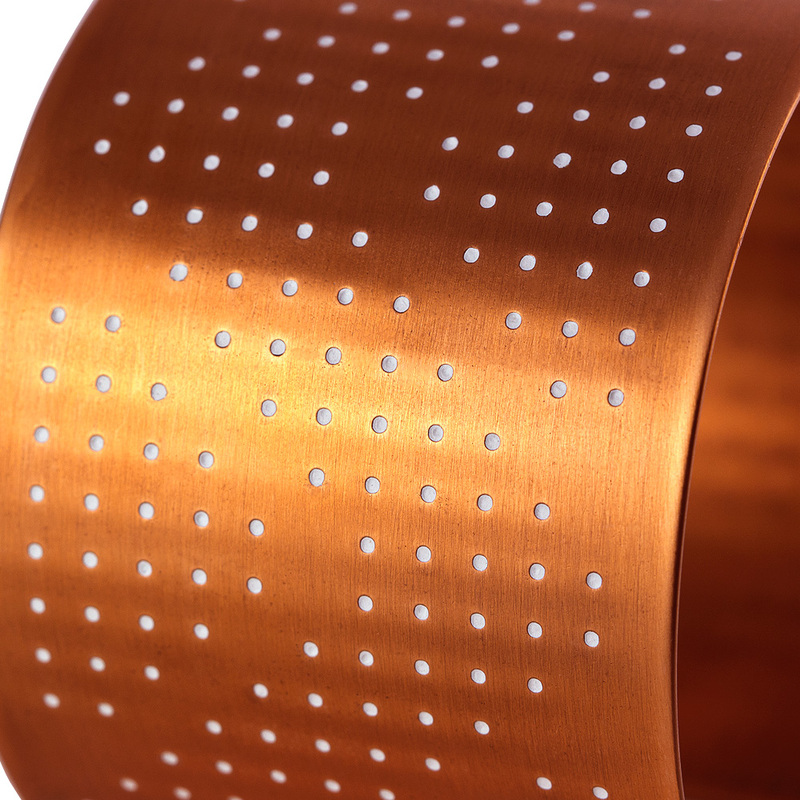 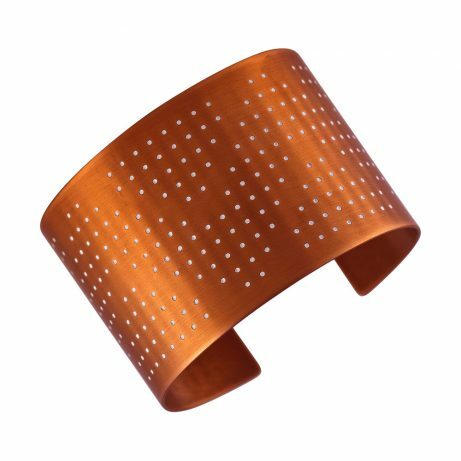 In Red Copper with White Dots. Cuff is 1 ⅝” W and measures approximately 7 – 7 ½″ in circumference (women's medium/ men's small) and can be adjusted slightly for a tighter or looser fit.